I remember clearly an on line discussion regarding sheep. A farmer posting stated that sheep did not show intelligence, that proof of this was how hard it could be to ‘herd’ a flock of sheep into a yard. To me this shows quite the opposite. It shows that the sheep are VERY aware that they are in danger, that the yard holds the fear of the unknown, of loss of freedom, and the risk of being subject to the will of another. When Wilma saw her flock friends being herded into yards she made a decision, one that would save her life. She refused to go with the flock. Against all normal instincts that there is safety in numbers, Wilma decided to go it alone and take a risk. From behind the trees she watched her flock family driven off, never to return…. and alone she roamed the bush block. There was some luck on Wilma’s side. Her ‘owner’ did not want to capture her and make another trip to the abattoir; the property is to be sold. Permission was given…if we could catch her, we could have her. 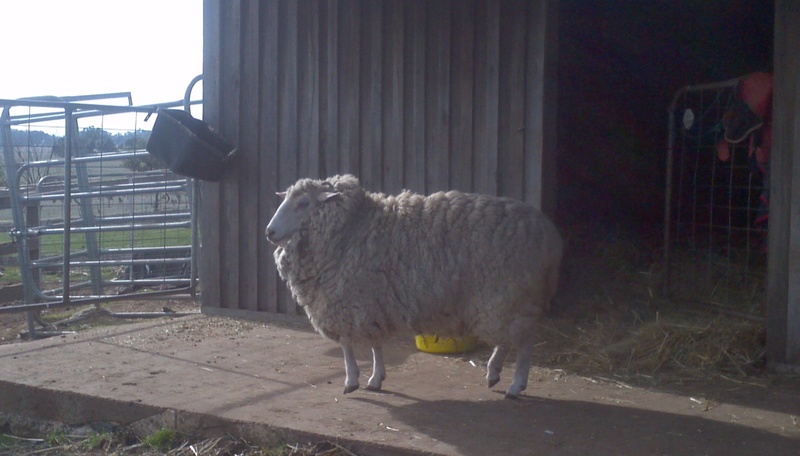 When I first saw Wilma she darted off for cover, vulnerable away from her flock, terrified. Her next encounter with humans was to see a yard put up in the bush, with some tasty lucerne hay put in. Whether or not she was tempted we do not know. Yesterday the master plan was put into action. Our float was taken to the block, and there, with the generous assistance of Bill and his two experienced working dogs, Wilma was robbed of her hard won freedom. It is always hard to witness the fear and terror as an animal tries to escape, and willing them to understand that their very life and safety is at stake. 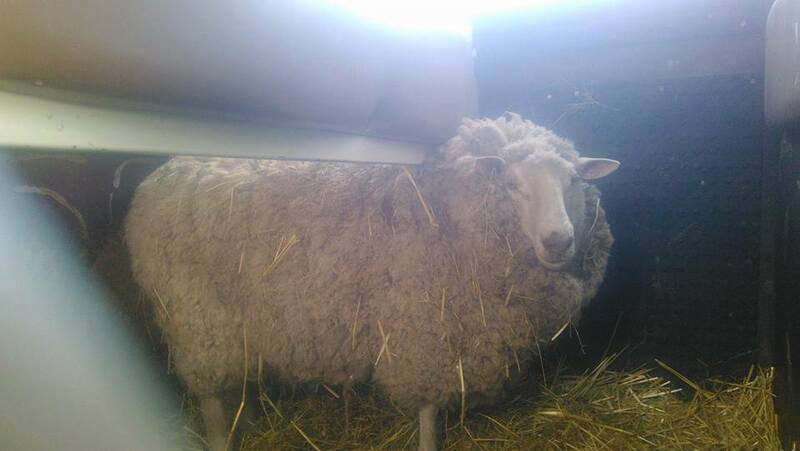 After 20 minutes, Wilma was ’rounded up’ and secured in a horse float, where she spent the night. 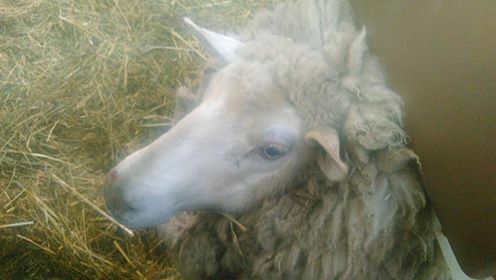 Today she made the journey to Honey’s Pledge and was released into a yard, with a small flock of sheep adjacent. 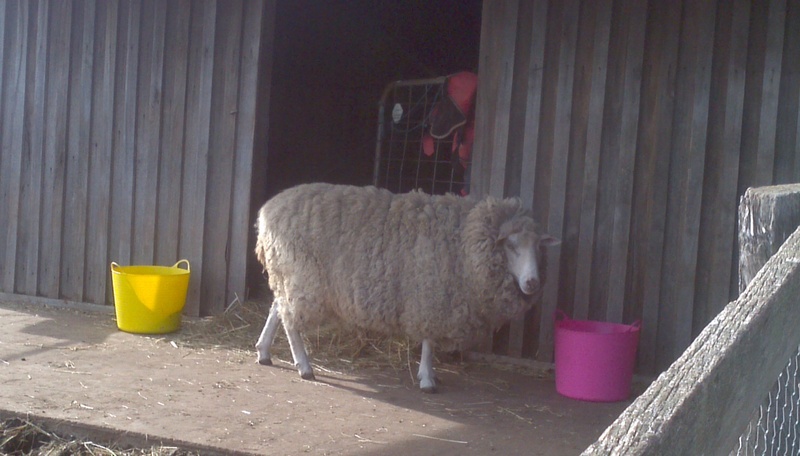 Wilma is heavy with fleece but given the cold weather and onset of winter, she will not be shorn until Spring. She will live in the yards for some time until we can gain her trust and reassure her that life here is safe. A new flock and a new life. 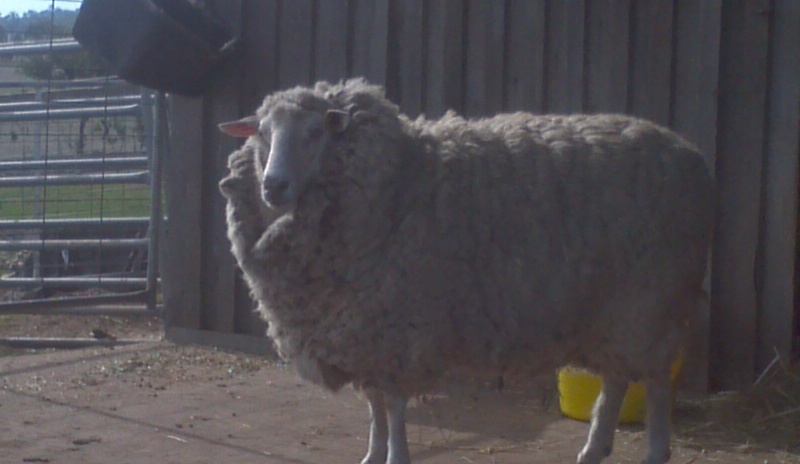 This entry was posted in Sheep and tagged animal rescue, sheep. Bookmark the permalink. ← A little one lost…..